Hougland left the firm at the beginning of the month. NEW YORK: Curtis Hougland, CEO and founder of social media marketing agency Attention, has departed, handing the reins over to Tom Buontempo, the firm’s president. Hougland, who founded Attention in 2005, left the agency at the beginning of May to put energy into other interests, said Buontempo. Hougland was not immediately available for comment. "[Hougland] helped bring Attention to where it is today," added Buontempo. "We hit a point where clients’ needs have evolved a bit, so we have made some adjustments in terms of where we are headed. It felt like a natural time to part ways." Although Buontempo is overseeing Attention’s leadership team, as well as the firm’s operations in North America, his title of president will remain the same. Buontempo, who used to report to Hougland, will now report to Edward Brojerdi, CEO of Kirshenbaum Bond Senecal + Partners New York, and Guy Hayward, KBS’ global CEO. The leadership restructure has been put in place to sharpen Attention’s offering and promote further integration within its parent company KBS. Attention was acquired by MDC Partners in 2009 and became part of KBS in 2014. "I am overseeing operations, clients, growth, and the evolution of the agency," said Buontempo. "The leadership restructure gives me greater connectivity to a broader wealth of resources within the KBS network where and when we need them based on what the clients’ needs are." He added that Attention is focused on investing in new capabilities, such as building out a big influencer practice. "Attention is celebrating its 10th anniversary this year, which is an eternity in the social world," said Buontempo. "We have never been stronger, so it excites me about where we are headed as an agency." Since July 2014, Buontempo has served as president of Attention and KBS’ content labs. He had been with KBS in various roles since 2010, according to his LinkedIn profile. Earlier in his career, Buontempo was director of business leadership at Momentum Worldwide. While there, according to his LinkedIn profile, he led brand strategy and activation for American Express. 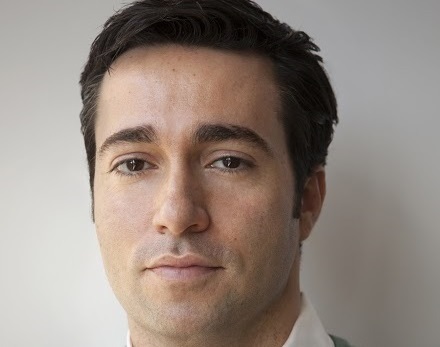 Attention’s new leadership team will also be comprised of GianCarlo Pitocco, who will serve as the agency’s first chief strategy officer, leading the strategy and analytics practice. Additionally, Jeremy Simon has been appointed to oversee the influencer and partnership division; Sarah Kauffman will lead operations and community management, while serving as an extension of the KBS technical operations team; Rachel Guthermann will lead client service; and Daniel Janoff will oversee the creative department.